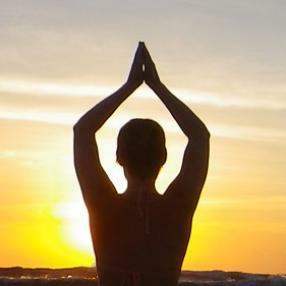 Begin your day with a warm yoga class. Step away from your morning, or your desk, and join me in this 60 minute class to renew and restart! Great mid day class! You'll move, sweat, get upside down, and settle into a much needed savasana! Heated room ideal for intermediate, advanced &/or enthusiastic beginners. (60 or 75 min. )- This class is an all level mind body adventure incorporating Asanas, breathing and mindfulness for a complete yoga experience. Sculpt a leaner, stronger body while releasing stress and fatigue. Power flow to help you ignite, get grounded and open your heart! You'll leave sweaty and rejuvenated!